Chocolate won one Challenge Certificate and one Reserve Challenge Certificate during her showing career. 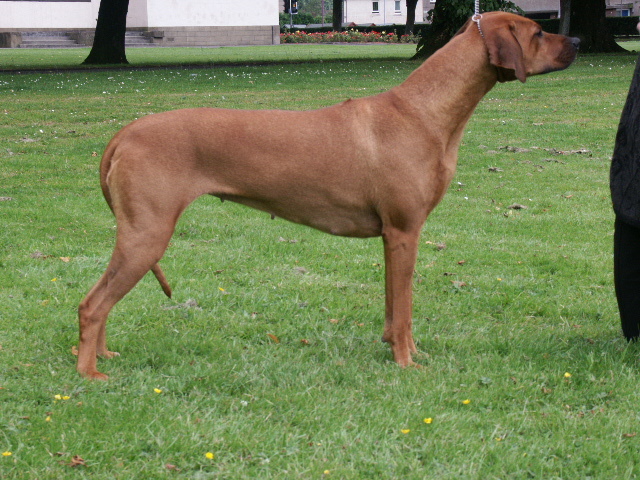 She also won a Best in Show at the Rhodesian Ridgeback Club of Scotland Open show. She was gifted back from the Gabisa kennel to live with Sharon and the rest of the family. Her progeny (Harriet, Peaches, Star and Elvis) are flying the flag for her in the ring today. She may be gone but definitely not forgotten.